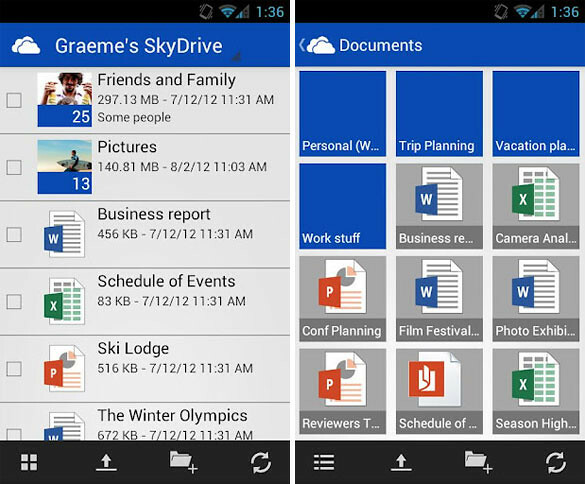 SkyDrive For Android Now Available! 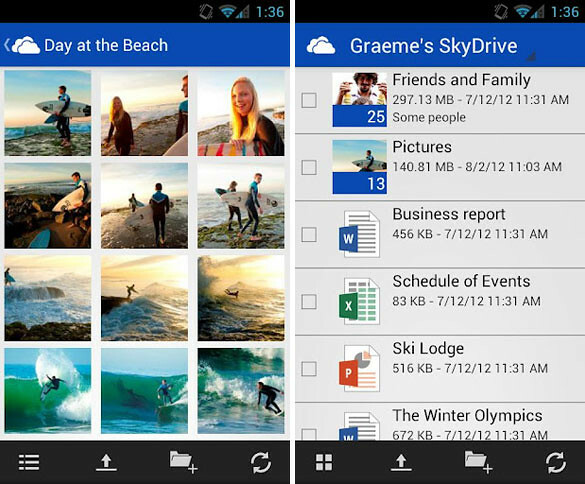 Microsoft has just released the official SkyDrive app for Android devices. In building the new SkyDrive app for Android, we wanted to ensure we kept the same intuitive design of all SkyDrive experiences while also making use of Android design patterns and conventional interactions, so this feels natural for people with Android phones. In this release, SkyDrive is available for Android phones with access to Google Play. The new app is designed to work best with Android 4.0 (Ice Cream Sandwich)—though it’s also fully functional on Android 2.3 and above. One Response to "SkyDrive For Android Now Available!" Forget about rapidshare, yousendit or whatever-share, use SkyDrive to share your files, even to public.